Cashmerette Patterns come in three formats, and today I’m going to be sharing the secret of inexpensive ways to use the Copyshop files! No more $18 bills from Staples, thankyouverymuch. Printed pattern: The big pro is there’s no additional work required to start working on your project – it’s all there! You also get a lovely printed envelope and instruction booklet to refer to. The cons are that you have to wait for it to be sent to you (or buy it from a store), and you’ll have to pay postage if you have it sent (US mail costs $2 – 3 (depending on the pattern weight), and international is $6 – 7). PDF Print At Home: The main pro is that you can get your pattern immediately, print it off on your home printer, and get going straight away – and, no postage costs. You can also reprint in the future if you want a new size, don’t want to trace, or lose your pieces. The con is that you have to construct it, which involves trimming the pages and taping or gluing them together. Some people love this, some people hate it! PDF Copyshop: The pro to this is that you get beautiful big paper pattern pieces that you can print locally, so no postage fees or waiting for an international package, and no printing at home or taping. Cashmerette Patterns Copyshop files come in US size (36 x 48″) and A0 size which is used in the rest of the world. The con is that sometimes this can be expensive – but that’s what we’re solving int his blog post today! If you don’t find a good local option for you here, I recommend googling “engineering print printing”, “plan printing”, “blueprint printing” or “reprographics printing”. Note, all Cashmerette Pattern PDF files are split by cup size, so you only need to print the relevant cup size for you. 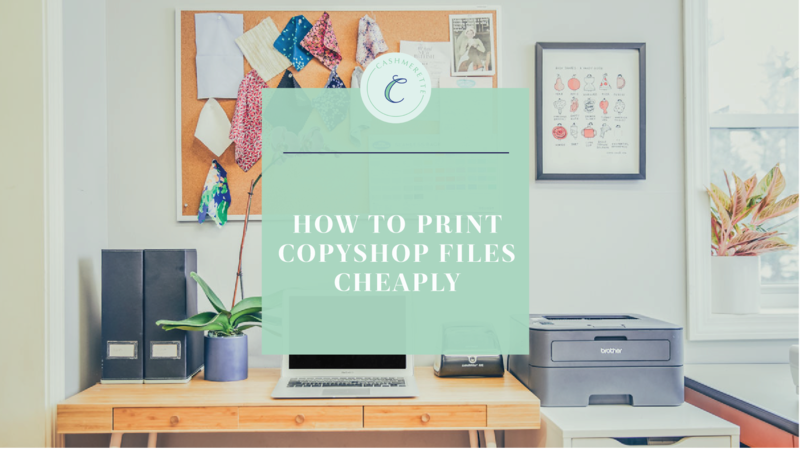 Most people assume that you can only have Copyshop files printed at large chains like Staples and Fedex (in the US) – but they’re super expensive, starting at around $7.50 per sheet (and most of our PDF patterns are at least 2 sheets). Once you add that to the cost of the PDF pattern, you may be better off just buying a printed pattern. However, there are in fact some much cheaper options available. If you know of any additional national companies, let me know and I’ll update the post! This online PDF plotting business has great prices and pretty quick shipping (2 – 5 business days, with same-day printing if you order before 2pm). A standard 36 x 48″ Copyshop pattern sheet is only $1.20! The catch is, there is a minimum order cost of $7.49 (so you need to print 7 pages), and shipping is a flat $6.99. However, that still nets out at $2.06 a page vs. over $7 for Staples. To order, indicate the number of originals (that’s the number of sheets you’re printing), the number of sets (the number of copies you want) and then you’ll be asked about the dimensions of the files – for all Cashmerette Patterns, you should tick “My file(s) are sized to the dimensions selected” (it may be different for other companies). I have used this company personally and recommend them (please note, I haven’t used the others, I have just had recommendations from other people). This is another online PDF plotting company, and they offer 36 x 48″ Copyshop pattern sheets at $1.32. They don’t have a minimum number of pages, but there is a “set up fee” of $7. Shipping is variable, but at $16 to Boston, it’s pretty steep. Now you can get patterns that you purchase from PatternReview.com printed and sent to you. It’s only available for Pattern Review members and on patterns purchased there, but there has been a great response to it so far! Prints start at $4.50 per pattern and can be shipped anywhere. “Plan” printing on an A0 page is 75p a page, minimum order is £5, and postage is £5 (next day). A site just for printing sewing patterns! £6.50 per pattern, in A0 size (up to 2 pages, you can also email them about printing more pages), plus free shipping. Delivered folded to A4 size. A0 printed for 45 kr + tax + shipping if you’re part of the Sysiden sewing club (the printing is via Vester Kopi). A0 page printing starts at Euro 3.50, and shipping costs are variable. They also offer the option to send in an A4 sewing pattern which they will tile for you and print on an A0 page! 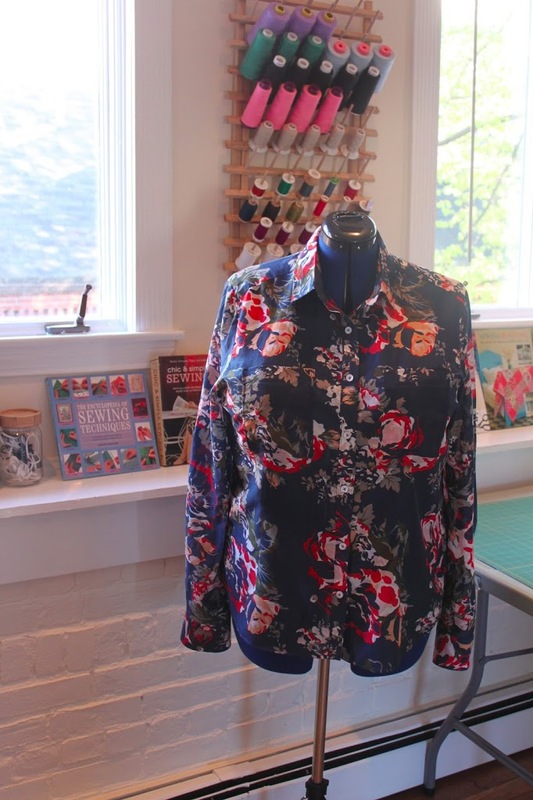 Very innovative and great for sewing patterns that don’t come with a copyshop file. Online printing service, I believe A0 page printing starts at Euro 1.29, plus shipping. €1.76 for an A0 sheet – ask for the black & white plan printing, large format. “Plan” printing (black and white) of A0 pages is AUS$4.10 a page, and can be ordered online and sent to you, or picked up in a store. “Plan” printing (black and white) of A0 pages is NZ$6.50 a page. You can order online, or get the printing done in a store. Nationwide chain of franchise run stores. Slight variation in prices depending on store location but A0 b&w is currently less than R30 – usually around R25. So that’s how to print PDF copyshop files cheaply! I’d love to hear if you have any more options, and I hope you found this helpful. Thanks a lot to everyone who contributed to this post in the Cashmerette Facebook Community Group! *Note, all prices accurate at the time of publication (June 2017). Prices may vary in the future. Please note, in some cases I had to use Google Translate for non-English pages and information may be incorrect – please let me know if you spot anything and I will update it! 3 days left to win amazing prizes in Sewing Indie Month! 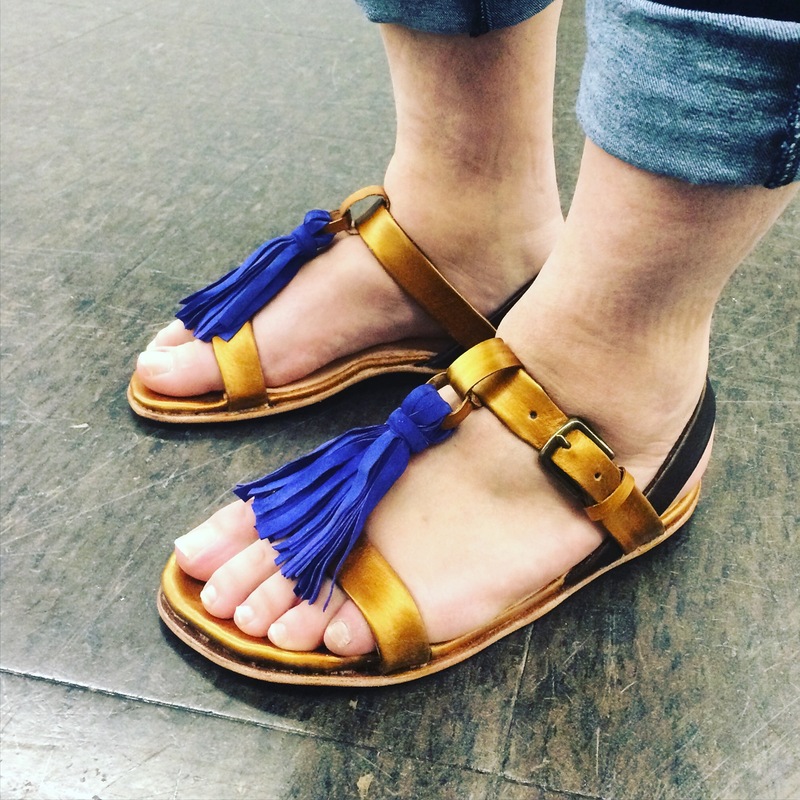 I made my own sandals! Woop! Thanks for the useful info. I’m in Scotland and have used Plan Printing UK (www.planprintinguk.com) who are based in Edinburgh. They charge 75p per A0 sheet; have a minimum order of £5; and charge flat rate postage of £8 (or you can collect from store for free). Another great UK company is http://www.planprinting24.co.uk... 75p per A0 sheet, minimum order of £5 (so 7 sheets), postage is £5 folded (or £10 rolled), and arrives next working day if ordered before 3pm on a working day. I couldn’t find any, but if you come across one let me know and I will add! I’ve been trying to find a local printer near Toronto and pricing for 36″x152″ ranges from $23 all the way up to $304 per page! I have had a nice e-conversation with Mike Barnes of PDF Plotting in Virginia, but they absolutely do not ship out of the country. Their pricing is insanely cheap. He suggested I have mine shipped to a mail forwarding company that would bounce them over the border. He also cited this page, which is why I’m here today. If anyone in the meantime has found a source comparable to PDF Plotting, I would be very glad to hear i t.
I’m in the UK and have used http://www.netprinter.co.uk and http://www.printingandplotting.co.uk. I’ve had trouble with Net Printer in terms of them either reading PDF’s as having three times the number of pages or only a third of what they do have. You can email them the file, but it seems an extra hassle. I’ve never had a problem with printing and plotting and got free biscuits with my first order. Me too! No Canadian options – maybe that’s the story for us 🙂 I’ve paid as much as $21 with taxes at Staples. I’d heard our local printer (Island Blueprint in Victoria) was charging $5 but when I went into the shop to investigate, it had jumped to $12. As word had made its way around the sewing community they were inexpensive, attracting sewists in droves, their prices more than doubled. They remain however the least expensive commercial option here. Based on this experience I would recommend you check out your independent copy shops. That said, I avoid PDF patterns. I think the majority in my generation do to be honest (I’m 62). In my sewing group and classes almost all the women adamantly refuse to do PDF. The only patterns I’ve printed off (and that’s only about 4) have been free ones and Bootstrap which are custom sized patterns and only $5 CDN to purchase. I know for Indie pattern designers this is their only option to get their patterns out there and their target market maybe those under 30 but I’ve honestly wondered how many PDF patterns they actually do sell? Compared with Indie pattern makers who produce print patterns I would imagine those numbers are considerably less. I just ordered from pdfplotting.com last week! So much cheaper than printing at Office Depot, and they came pretty quickly! I was nervous at how the prints would come out, but they’re perfect! Definitely recommend them! I’ve ordered from pdfplotting.com three times now, and each time have printed out three to four patterns, and been in the $20 range including shipping. That amount of printing used to cost me $60 and up at Office Max. PDFPlotting keeps adding different sizes – and now do custom lengths up to 200″ – so if a pattern is longer than 36″ x 48″ you can get it on one page now! The parent company is local to me and well-respected in this area. I have US standard sheets and the A0 size. Can pdfplotting print the A0 size too? Will PDFPlotting do layers? If I tell them 3 sizes can they do that? I haven’t been able to figure out how to do layers with PDF Plotting. Outside of that, I have used them and been very happy with them. Norwegian here, re Allkopi: Their website is a little hard to read on a tablet but it seems that they only do a limited selection of their products online and lagre format printing doesn’t appear to be among them. They have several offices in the southern half of the country, and it might be possible to order by phone but there’s no info about it. Look in your local phone book for “blueprints”! If you’re in a decent size city you probably have an independent blueprinter that prints on a plotter for local architects and such. I found out there’s one a few blocks from my work. It costs me ~$2 a page and I don’t have to pay for shipping like these online places. A lot of these places operate on word of mouth (no website, etc…) so you might have to pick up the phone and call someone. Once I figured out the system I just email them my pdf and tell them to print it “actual size, black and white, cheapest paper you have” and pick it up on my way home from work. I use them as well and usually wait until I have several patter to print to get to £5, that way it works out much cheaper per pattern. Thanks for sharing! 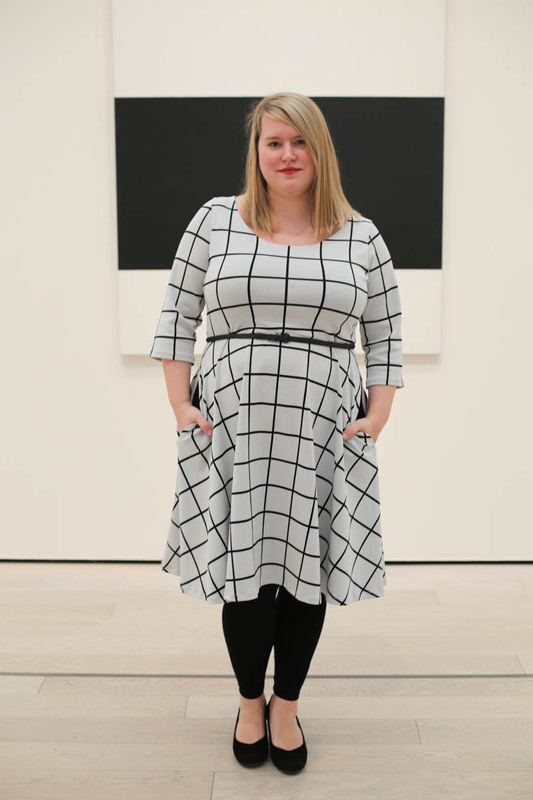 I’m a bit confused though – not all the USCopyshop files seem to be 36×48 (the harrison shirtdress is showing as 91×36) so I’m not sure which size to select or that the option for my pattern is sized to selected size is accurate. Does anyone remember what they selected for the various patterns on PDFplotting? Thanks! Thanks! I found updated links in my e-mail for some but not all of the patterns. Is the only way to access purchased patterns via the e-mailed links? I’m very sorry to say Officeworks in Australia will no longer print PDF patterns on the basis of copyright law. I’m not sure if this interpretation of the law is correct but that’s now their policy. They’re not interested in proof of purchase. I tried printing the A4 sheets at Officeworks myself since it was cheaper than printing at home, but the self serve print machines don’t allow you to print at 100% scale. Lizzie, it seems to depend on what staff / branch you are at. I printed at officeworks last week, alsways have and never had an issue. Officeworks have never brought this up for me – I print A0 there all the time. The biggest issue I have though is staff no understanding how to use their own printers, and telling me it’s not possible. You also have to stand over them and make sure they check the ‘actual size’ not ‘fit to page’ button. I’ve never had probs at Officeworks. I suggest showing your purchase receipt. Thank you so much for this! I really dislike sticking together a4 sheets and have been thinking of getting the copyshop files printed, but was nervous about the cost, now I know exactly where to go. I just placed an order with printing and plotting. I got 8 sheets for £12.72 (including VAT and p+p), which is £1.59 per sheet. The only print shop in town wanted £8.40 per sheet! I paid 5euro in our local copy store but I did state it was black and white line drawing, as I know this can work out cheaper as they do them for planners/engineers all the time so have to price competitively . – I would not do it for all patterns- but so worth occasionally not having to stick a load of pages together……………..
Why do you size your large format files to be 36″ x 48″? I thought copy shop paper came on rolls…so the page could be 36″ by any length you needed? I checked out these online sources, and they are using 36″ x 48″ but they have longer sizes too. Could it be they are just making standard dimensions to be able to charge set prices? The reason is because most stores in the US only print 36 x 48″ (e.g. Staples, Fedex, Kinkos). You need a different type of printer to print continuously, and anecdotally I can tell you that of all the Staples in Boston (I think around 15? ), only one has a continuous paper printer for black and white. I talked to the girl at my local (small town) Staples. She said large format machines print from rolls of paper, but they charge by the size. So while they could print any file continuously, they would charge me by size. Just an FYI…I think it’s fascinating! You’re wonderful for putting this together! Whenever I’m in the midst of assembling pdfs I think about how much money I would pay someone in that moment for the job to be done for me (I usually settle on $15). I just ordered several patterns I’ve had burning a hole in my laptop for like $10 total from pdf plotting. So relieved! You at Cashmerette HQ are going to love having your own plotter.It makes altering and comparing patterns so much faster and easier. I have found places in Canada by googling reprographcs printing, although it varies city to city. Prices seem to be in the $5 a print range, going up or down depending on the number printed. I would recommend calling first – places seem happy to give an estimate. Megan, can you share your location? Where did you find printing for $5 a page? I’m in Burlington, just outside of Toronto. Hello from another Norwegian. I agree that Allkopi has a website that is a bit difficult to decipher, but I’ve used them for printing PDF patterns a couple of times and it worked fine. I just sent them an email and they did it quickly. Mind you, I have a local store nearby, so could pick it up myself. Don’t remember the cost, but it was not outrageous. In the order of 60 NOK per copy, perhaps? That would be 8 USD or similar in euros, I think? I always order printed patterns when available, and I never order PDFs unless they are available in copyshop size, so I really appreciate this information. I am in the U.S., so I’ve dealt with FedEx the last couple of times, and it’s been an absolute nightmare. You can’t order large format stuff online, and it takes forever for the underpaid, overworked clerks to figure out how to proceed since they don’t receive adequate training or support. Not their fault, but it’s a very frustrating experience all around to sit there for half an hour and leave empty handed. My particular FedEx place can only do 24X36 as well. I went with Staples this time. It was $14 for two 36″X48″ pages, and may even be ready by the same day. It’s expensive, but it’s worth it to me to be able to order online and then pickup when the files are ready with no postage costs. I can walk there, which is nice. Both PDFPlotting and BlueprintsPrinting had minimum page orders, so I think pricewise it’s a wash.
What I need to do is find a local family-owned shop to support! Anyone know a copy shop in Sweden? copy shops in England takes £15 to £20 for shipping ONLY! Thank you thank you for this post!